The Rock 'n' Roll New Orleans Marathon and 1/2 Marathon is helping runners experience all the fun of the Crescent City, but with a much shorter distance. On Monday, they announced plans to have a 10K event on the same day as their other two signature races, January 25th, 2015. 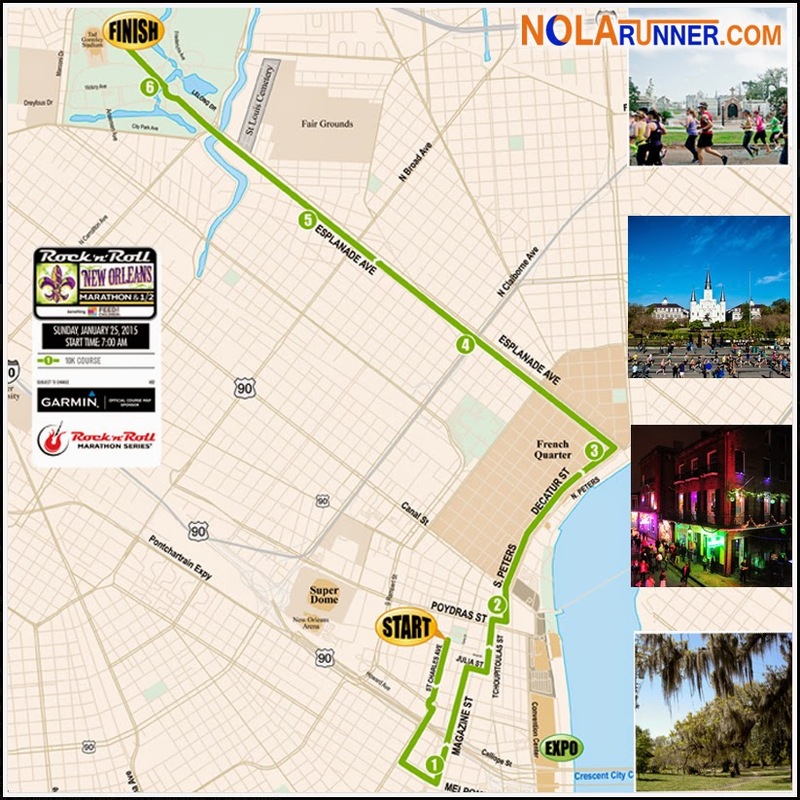 The course for the 10K (seen above) highlights many of the same landmarks that half and full marathoners experience, including Lee Circle, St. Louis Cathedral, the French Quarter, the historic St. Louis Cemetery, and more. The finish under the moss covered oaks of New Orleans City Park is one of the most picturesque venues for an after-party you'll find. Right now, Rock 'n' Roll New Orleans is celebrating all of their exciting announcements by offering $5 off the 10K distance. Register HERE before this Friday, October 10th at 11:59 p.m. and use the code RUN10SAVE5 to get the discount. Get more details on the Rock 'n' Roll New Orleans 10K HERE.